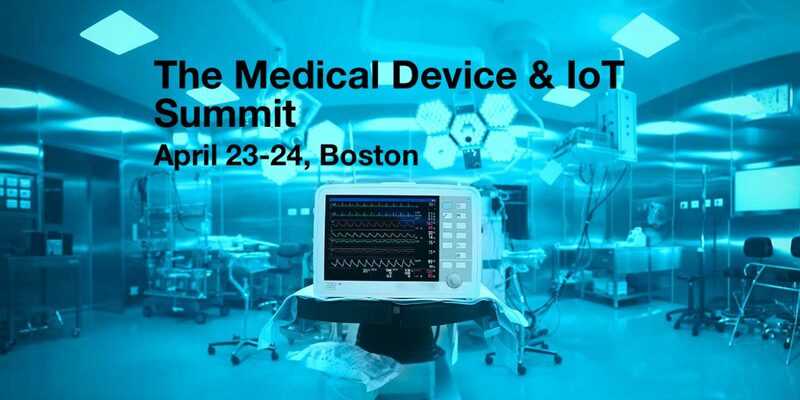 Join us in Boston on February 25-26 April 23-24 to dig deep into medical devices and the Internet of medical things. In this post-EMR world, medical device data is increasingly valuable and continues to evolve. Use cases have moved beyond clinical documentation into the EMR to include near real-time remote surveillance, and the collection of high fidelity medical device data for clinical decision support and training artificial intelligence algorithms. As use cases have evolved, suppliers of all sorts and their related technology have likewise changed considerably over the years. Miniaturization, the consolidation of technologies into more powerful building blocks, open source software projects and commercial turn-key solutions have all evolved. Join us at the Summit to learn about new technologies and solutions to meeting your customer's ever growing requirements. Visit the event website to review the agenda, venue or to register. Thanks to the event producer, Satish Kavirajan, I've been able to secure a special discount for my readers for this event. Use discount code MCC on or before April 5th to receive a $300 discount. After April 5th, a $200 discount is available, and use discount code MCC200 when you register. Click here for event details, a list of speakers and to register today. Very detail, organized, perfect and full of information.